Apple today seeded the fifth beta of an upcoming tvOS 11.3 update to developers for testing purposes, one week after seeding the fourth beta and three weeks after releasing the tvOS 11.2.6 update. Early tvOS 11.3 updates introduced support for AirPlay 2, allowing the Apple TV to be added to the Home app as part of a HomeKit setup and enabling multiple Apple TVs in separate rooms to play the same song, but that functionality was removed in tvOS 11.3 beta 3. It is not yet clear if Apple plans to re-add AirPlay 2 features ahead of the release of tvOS 11.3, but it's a possibility because there are still several betas to go. 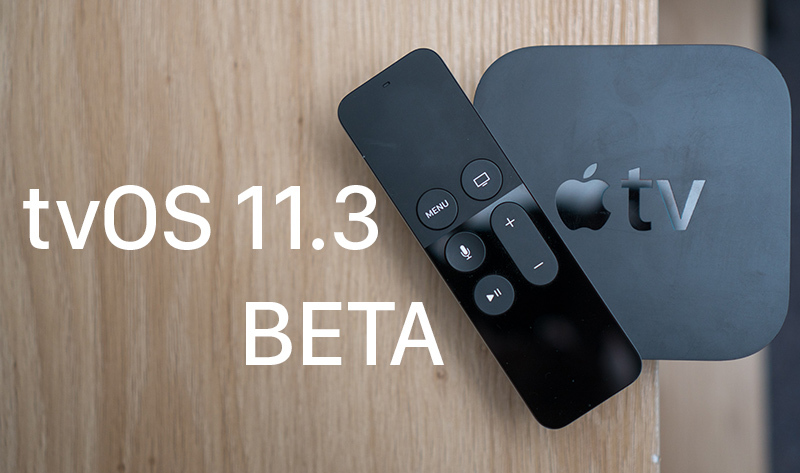 Update: Apple has also made a new beta of tvOS 11.3 available to public beta testers.